My journey started with a 5 hours of walking in first day. 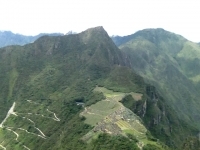 On the way to first camp site, I saw a lot of great historical sites and beautiful scenery. 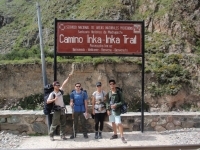 Though I was already stunned on the first trekking, days following were even more wonderful. Fue una experiencia inolvidable, un poco cansado pero valió la pena pasar por todo lo que pasamos. 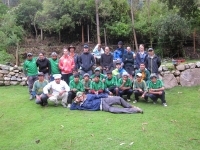 Los guías que teníamos súper buenos, atentos en todo momento, haciendo que nuestro camino hacia Machu Picchu sea genial, creo que todo el grupo que estábamos la pasamos súper bien. The Best Hike Ever !!! 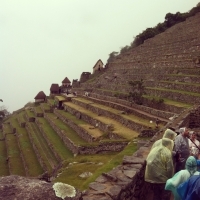 Hiking the Inca Trail was the BEST EXPERIENCE EVER!!! 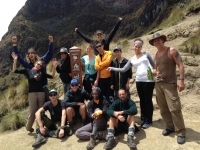 Inca Trail Reservations were so great with organizing the whole trip for us. They communicated everything to us clearly and efficiently. Always responding quickly to our e-mail questions. What a life changing experience! 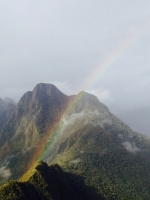 My two friends and I did the 3N/4D Inca Trail hike with eleven other hikers, two guides and about seven porters. 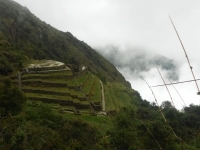 From the first email we received from Fanny, an Inca Trail Reservations agent, to the very end of the trip, everything was just as Fanny had promised. 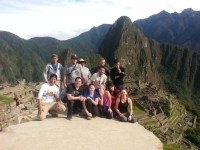 Our group had an amazing experience with Inca Trail Reservations! From the booking process down to a nice cold drink after completing the trek everyone we came into contact with was extremely kind and helpful. 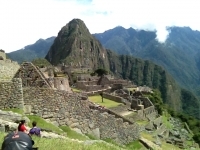 The most wonderful trip I ever had, although at first it's very rough to me, but I am so happy that I took this Inca trail adventure and didn't give up.